The initial consultations help to find out about your needs and wishes and we honestly tell you if and how we can be of help. We listen very carefully. We help to take care of all the aspects of a visit to Germany. 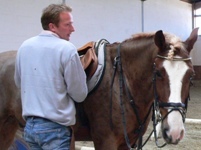 We want you to have as much comfort and support as you wish in every aspect of buying a horse in Germany. Our business wants you to succeed! Finding exellent business opportunities for you as a professional and the perfect match for you as an amateur. We want to encourage horse fans and professionals form around the world to look for themselves and find the great opportunities that the German Horse Marked has to offer. To make such an experience for “newcomers” possible and fun, information and service is crucial and we like to give encouragement and help. For the “experienced” we want to improve noticeably the success of your visits. We can offer new sources, better conditions, excellent organization, efficiency, comfort and hospitality. Special and unusual requests are just as welcome. We know, some situations can be out of the ordinary. Do not hesitate to contact us, we like to help and if we can not, we might be able to refer you to someone that can. We do not sell horses. 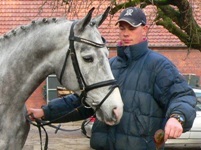 We open the German horse market for you and evaluate the sources very critically as to their offers and service. We teak you to the best buys, to farms and trainer that have proven for years their excellent and honest service to us and our clients. When buying horses, one important part for an excellent result is, who you choose to work with. GermanSporthorseConsulting has years of experience and a long term commitment to the market and to our clients. Being here in the middle of German horse country, we are connected to fine sources for every need. We find that our years of expertise, independence and loyalty to the benefit of our clients, at very reasonable rates, are a very good business philosophy for our clients and for us. I can assure you, we very much like to work for our clients and help them because we understand that the right horse for a client means good business and fun. We work very successful for all our clients (professional / amateurs) and know the very special needs connected with both. This is also appreciated by the people offering horses for sale. They know they stand with quality and price in direct competition. So if all is well, they can sell on their own merits. Not because we try to push in the one or other direction or “adjust” prices. This is very much to the benefit of our clients. 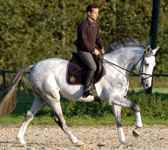 They get shown the best and most suitable available horses at very good and fair prices. Our service is also a benefit to the seller: The buyer is informed and supported and can concentrate on the horses, all details will be taken care of and organized. As a professional, it is very important to have good conditions to work successfully. You know what you want and need and we will make sure that is what you see in a fast and concentrated form. We do work for a number of top trainers, to be very successful and...since they appreciate our service, come back. So in that context, I would very much like to invite you as a professional to use our service on your business trip to Germany. We are capable of supporting you to be successful and find the horses profitable to your business and fitting for your clients on a schedule that makes best use of your time. For you as an amateur, we offer you extensive support to buy the “right” horse. With all the service before you come, when you are here and, when you are back home. The success and satisfaction of all our clients has absolute priority to us. We care! 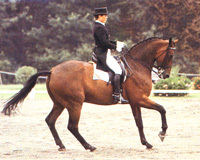 Over 35 years of successful professional work training horses, competing and teaching in Germany, the United States, the Netherlands, and Italy. 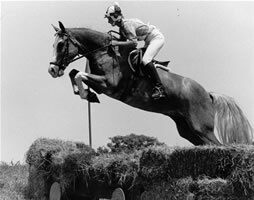 My company „GermanSporthorseConsulting“ grew out of over 35 years of professional work with people and horses. In early childhood, bitten by the horse bug, I committed myself to become a professional trainer. With the advantage to learn in an environment of top horsemanship, competition and teaching in Germany, I earned my professional license. Enjoying work in Germany and years abroad working the United States, Italy and the Nederland’s, I’ve learned even more about different systems of breeding, training, riding, and showing. It was to me always a wonderful and exciting experience to combine the love of horses with passing that feeling and extensive knowledge on to my students. Since 1998 GermanSporthorseConsulting works in a very important part of the horse business: The support of professionals and amateurs in their search for the horses that fit their needs. …growing into knowledge and experience! Opening the German horse market to clients from abroad is what our business is all about. 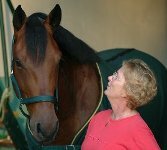 You will find among the best sport horses of the world your very personal matchin an efficient, fair, friendly, experienced and professional atmosphere and manner. This home page should give information’s about our service. I like to invite you very personally, to see how we work, how we care about your very personal situation and what I am able to do for you. 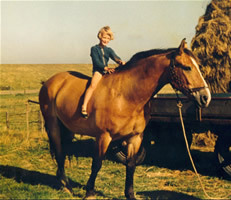 1999 I moved to Menslage, a village known for fine horses and in the middle of the German horse breeding tradition. This makes it even more convenient for our clients. With in a 3 hour driving radius, we can show our clients fitting horses in a concentrated area that is known for quality horses for all needs.